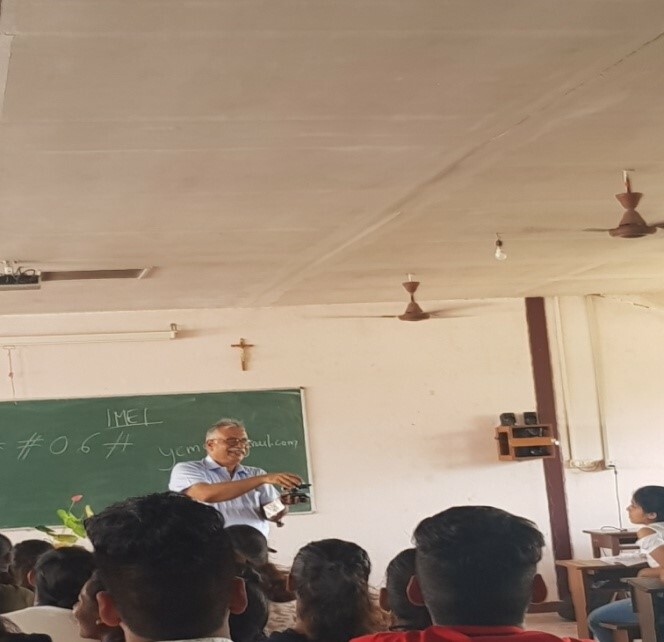 The commerce department of St. Xavier’s College, Mapusa had organised a guest lecture on ‘Consumer’s right and protection’ for the students of F.Y.Bcom division A and division C on 13th March 2019 at 10:45 am to 11:45 am. The speaker for the talk was Mr. Roland Martins who is a social activist and founder team member of the Goa Desc Resource Centre and Friday Balcao based at Mapusa. He is the Co-ordinator of the Goa Civic and Consumer Action Network (GOACAN) a Voluntary Consumer Organisation which promotes civic and consumer rights and has set up consumer forums in different villages of the State. The speaker was introduced to the class by Ms. Valentina Almeida student from F.Y. Bcom division C and was welcomed by giving a potted plant. Roland Martins discussed the various issues of consumers in today’s world which included the important issue of half tickets while travelling in private buses, introducing ISI mark on helmets for safety, giving knowledge about IMEI numbers for cellphones; etc. He shared his life’s fun experiences and hence made the class more interesting. At the end students were given a chance to raise their queries and answers were given in an informative way. He also provided the students with leaflets carrying 24 hours helplines, complaint numbers and other complaint numbers to register the problems faced by them. 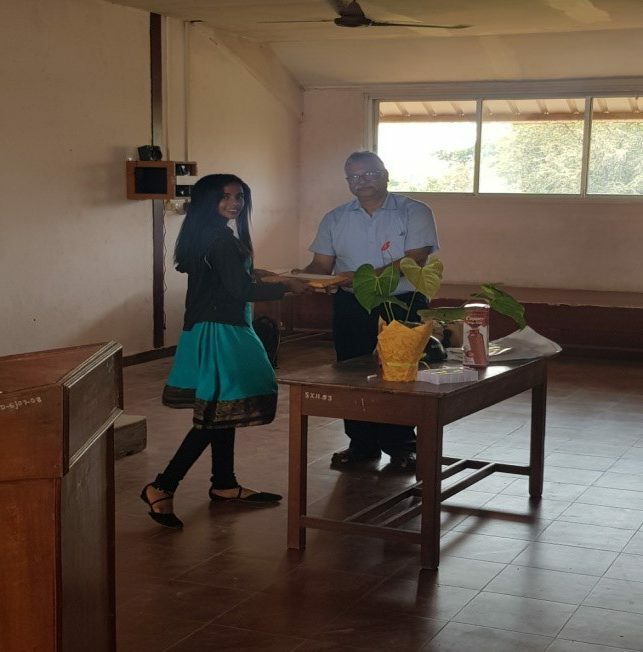 Towards the end, Miss Ruchi Naik, student from F.Y.Bcom division A, proposed the vote of thanks and a token of appreciation was handed to Mr. Roland Martins for spending his valuable time in enriching our students with the consumer rights information.